Tattoos serve a large range of purposes that vary widely depending on the person getting them. They memorialize loved ones, allow us to keep a piece of art with us forever, let us proudly display our affiliation with a hobby, religion or political cause, and track places we’ve been in the world. But given the often permanent nature of tattoos (barring your willingness to undergo laser tattoo removal) they’re decisions that aren’t made lightly, which is why finding the right kind of design is so essential. If you’re the kind of person that’s prone to wanderlust, has a bucket list of countries you have to visit and dreams of a passport full of stamps travel related ink may be the type for you. There are tons of gorgeous designs out there that are bound to tempt you, and having them done is more common than you might expect. Travel tattoos are becoming so common that many celebrities have been spotted sporting them, sometimes just because they thought they were pretty but often times for reasons far more meaningful. The decisions for having them done are often times just as important as what and where they are, much like they are for anyone else getting ink. Dwayne Johnson, often known as “The Rock,” sports a large sleeve of tattoos that cover the left side of his chest and crawl down to his elbow. He has several others as well, though this one seems to be by far the most meaningful. His father is of Black Nova Scotian decent and his mother is Samoan, both of which are entwined in the Polynesian design featured on his sleeve. 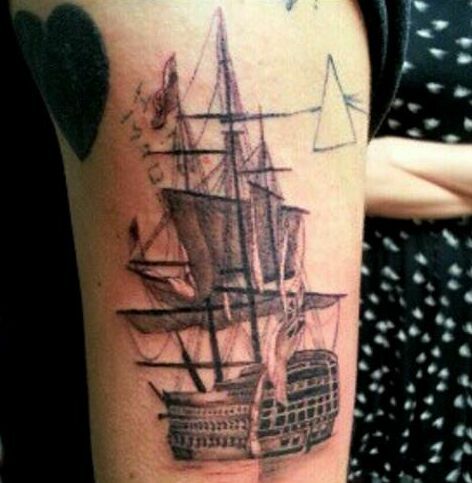 Harry Style, most well known for his position with the boy band One Direction, as a nautical themed tattoo designed to mimic an English ship. Its intention is to remind him of home while he is abroad, like a little piece of it that travels with him when he has to be far from home. 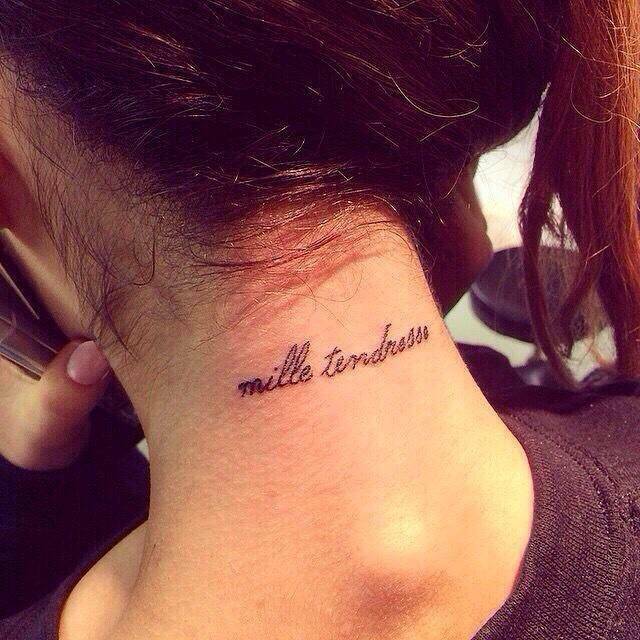 As a huge fan of all things French, Ariana Grande chose to get a tattoo on the back of her neck in the language that says “mille tendresse,” which translates to “a thousand tenderness.” The line comes from the classic film Breakfast at Tiffany’s starring Audrey Hepburn. Given her propensity to use Hepburn as constant inspiration, the tattoo’s source is no surprise. Sometimes what you want is something small, something simple to memorialize a place you’ve been or a place you’d like to be. Minimalist tattoos are incredibly popular for their simplicity and also for the fact that they’re quicker and less expensive to have done. From small symbols to text, there are plenty of options when it comes to getting a small but meaningful tattoo. This travel stamp is an inventive way to mark where you’re from or where you wish you could go, and is obviously customizable depending on the location. Getting a small plane or boat tattooed on your finger or feet could symbolize your willingness to travel anywhere. All you need is a passport and a ticket and you’re on your way to new adventures. Simple outlines are also a fantastic way to represent a location while keeping it simple. You can add in a star to represent the specific location within a country or state, or a small heart to memorialize your love. And sometime the simplicity can be in the design as much as it is in the absence of substance. A single word can do the trick, like this example of the word “wanderlust.” Have it done over your heart or on your feet to emphasize your love. Maybe you don’t have a specific location I mind or any one space that you want permanently etched on your skin. Or maybe you love so many places that you can’t settle on just one or two to have done on you. Whatever the case, there are plenty of general travel related tattoos that can encompass a lot of places at once while still displaying your love of the world. Getting a compass related tattoo is beautiful for its simplicity and generality. It could symbolize general wanderlust or a willingness to move in any direction, or it could represent your love for water related travel. There are dozens of ways to customize the design to make it perfectly suited to the message you’d like to send the world you love to travel in. The thing about the desire to travel is that it doesn’t always come with specific destinations in mind. While you may have that bucket list we mentioned earlier, it could also be that you just search for affordable deals or wait for prime locations to pop up in your inbox and whisk you away. In these cases getting a design that pictures the globe or a world map are a great choice, letting you showcase your desire without limiting yourself to a specific part of the map. And if you’d like to take that idea a step further, you can always think of the outline as your own personal coloring book and fill it in as you travel the globe. Nautical tattoos are incredibly popular for the general travel, both for their beauty and their generalization. From traditional Sailor Jerry work to more modern designs you can pick your favorite nautical symbol so you can further customize it to your liking. Embracing your love of travel is easy, but making a decision about what to have etched in your skin forever can be challenging. Here’s to hoping these beautiful travel related tattoos have helped inspire your decision and your travel plans! Do you have any travel related tattoos to show off? Tell us all about your favorite destinations!